Attention golf lovers! Are you planning a weekend getaway this summer? 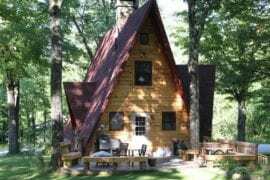 Need an Airbnb in Maine to stay in? Well, you’ve come to the right place. We get it! When it comes to coordinating a golf-filled getaway, there is a lot of planning that must go into it. Obviously, you’ll need to be near a top golf course in the area. And having said course be in a gorgeous location is another bonus, right? But what about everything else? We assume you’ll want an accommodation that is spacious, relaxing, and your personal oasis FAR away from reality. Luckily, beaches aren’t the only thing that the coastal state of Maine does well. Though they are a well-known destination for lively beaches, whale watching, and the best seafood around – Maine also excels in fairways, greens, and breathtaking golf courses. If you’re planning a mini escape this summer, you’ll be pleasantly surprised with the options that Maine has to offer. 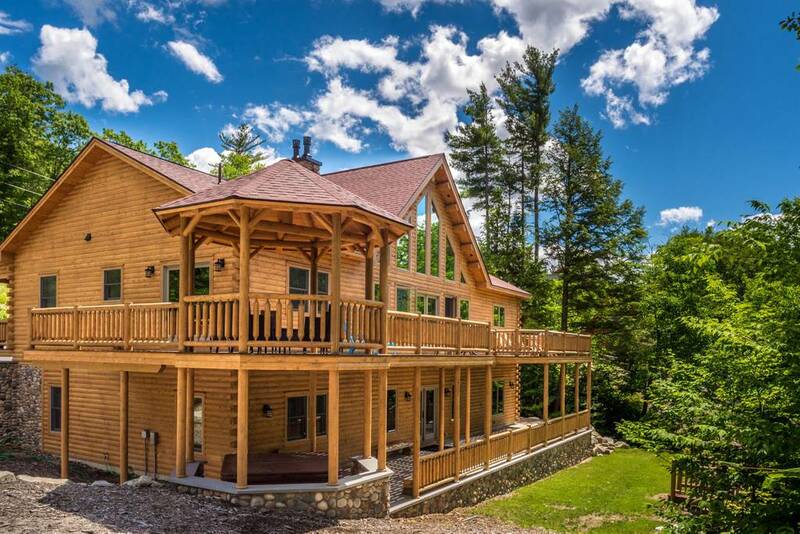 To make your planning even easier, we’ve listed eight of our favorite Airbnb Maine rentals close to the best golf courses in the state. 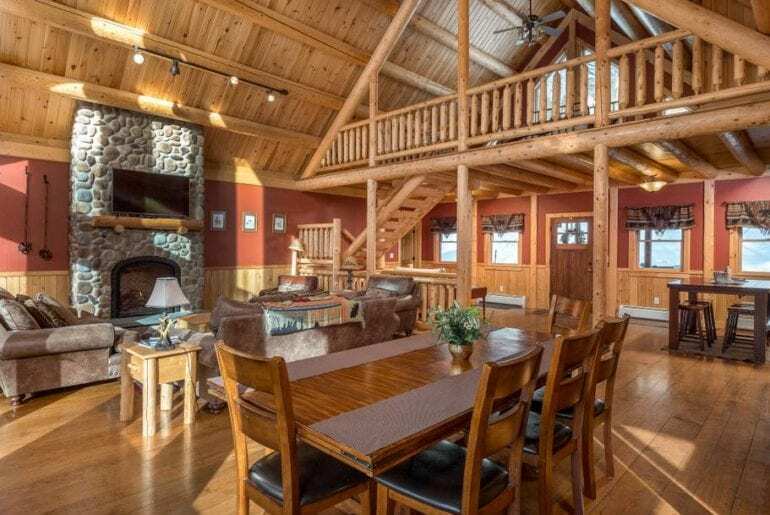 This property features over 3,500 square feet of living space! 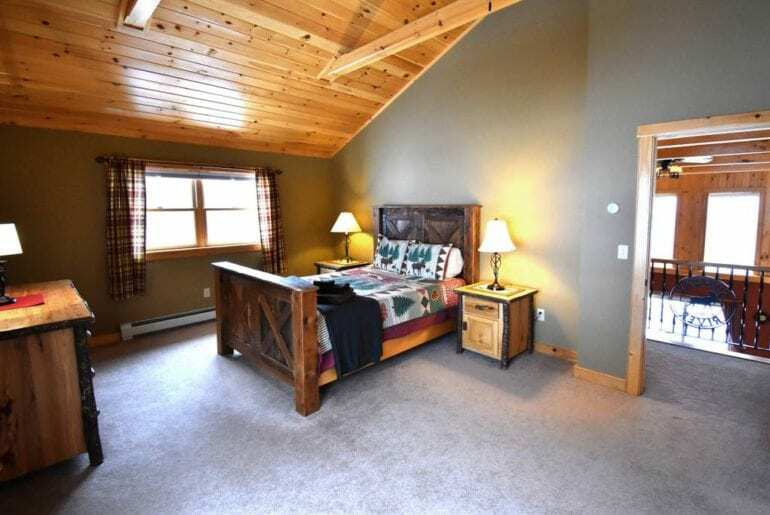 With 23 beds and 3.5 bathrooms, there is plenty of room for the whole group to join your trip. Outside offers four levels of space for entertainment and spectacular views. The main deck offers a custom gazebo with a seating area along with an outdoor fireplace, grill, and dining space. 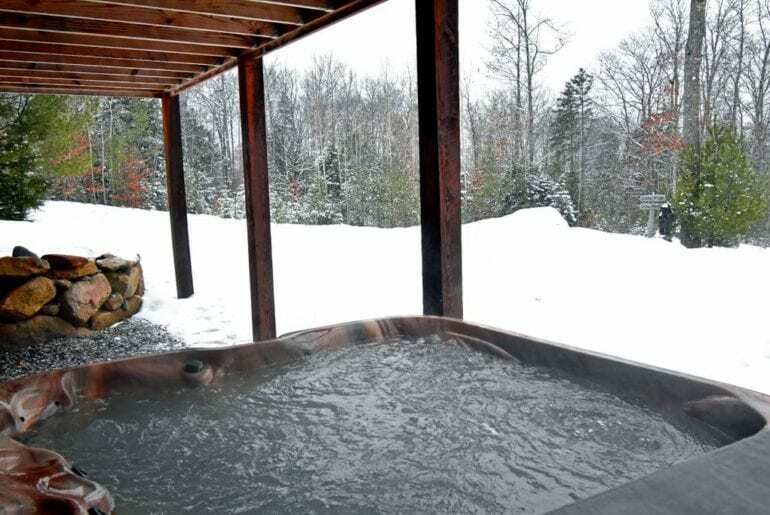 There’s also a large hot tub, perfect for an after-dinner soak with a glass of your favorite wine! Head to the fire pit and toast some marshmallows or jam to your favorite acoustic tune. Head to Sunday River Golf Course for fantastic mountain views and fun courses. This spot has been named to Golf Magazine’s list of “Top 100 Courses You Can Play” and the number 1 course in Maine by Golfweek! Though the Sunday River area of Maine is typically known for its winter activities, there’s no shortage of golf lovers who flock to the area as well! This four bedroom home has everything you need to make your getaway perfect from a hot tub to an in-house arcade! 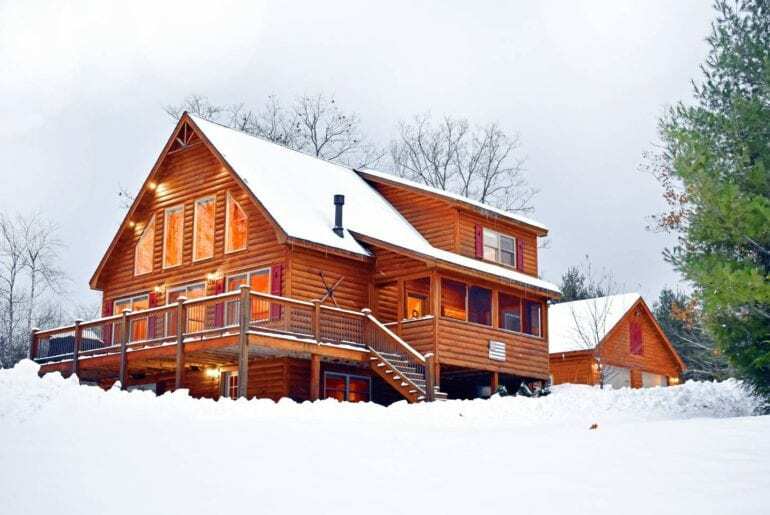 When you drive up to this beautiful accommodation, you are greeted by a hillside chalet with panoramic views of Sunday River and the White Mountains. Enter the home to a giant mudroom where you can keep all of your golfing gear for easy accessibility. Continuing through, you enter an arcade featuring Foosball, Pac-Man, Galaga, Space Invaders, Dig Dug, and a large television! 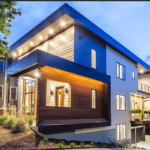 Upstairs, you’ll be impressed with the comprehensive open-floor plan with soaring cathedral ceilings that tower over the living spaces and kitchen. When you need a breather, head to the wrap-around porch for some fresh air and unparalleled views of the nature around you. 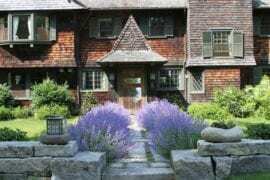 Bethel Inn Resort, just a short drive away, was designed by renowned architect, Geoffrey Cornish. This tree-lined, par 72 courses provides very challenging courses and beautiful views. 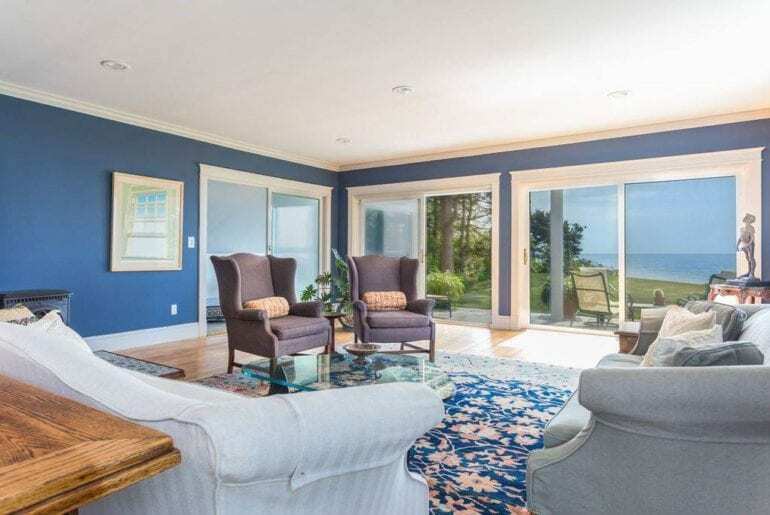 Soak in the ocean air from this roomy home with sweeping water views. 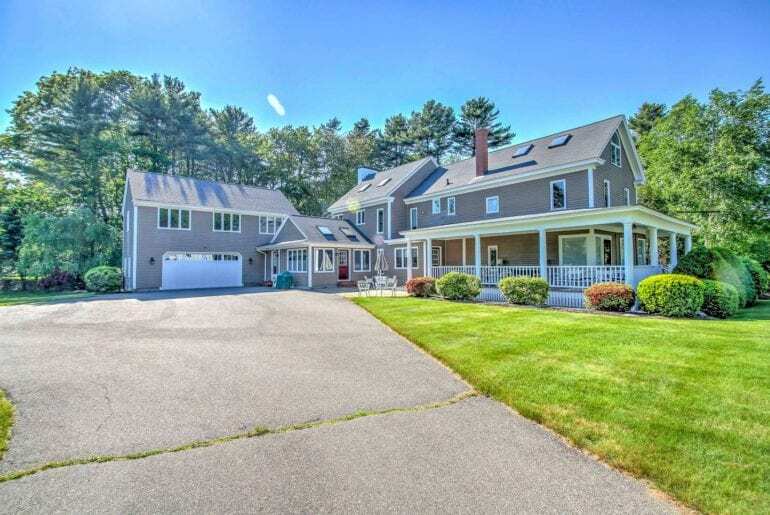 Just minutes away from Boothbay Harbor and the bustling Southport area! With five bedrooms and 4.5 bathrooms, this is an excellent rental for groups looking for a golf-filled getaway! The living room has enough room for ten people to gather around to enjoy one another’s company or play a game of cards. Looking out the windows, you’ll see the breathtaking view of the ocean that surrounds the home. 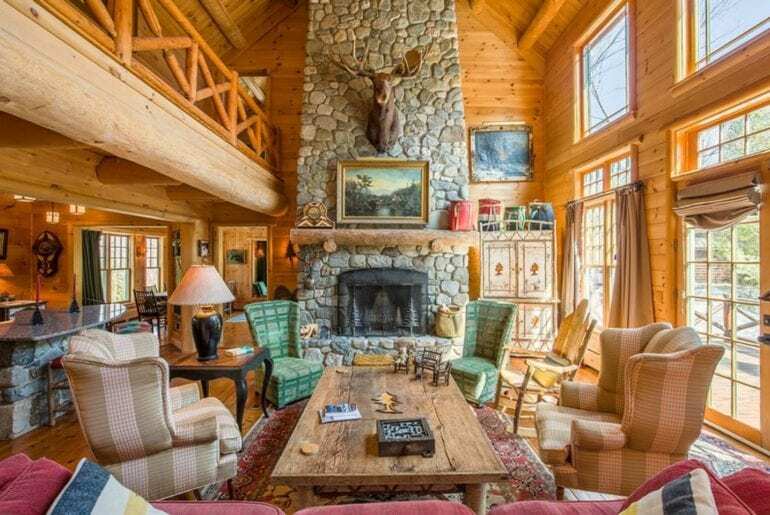 The family room has a large television and fireplace for a cozy movie night. Prepare some snacks for your favorite Netflix show in the gourmet kitchen! Complete with professional grade appliances, two ovens, and a Sub-Zero refrigerator. For those who are early risers, enjoy your morning coffee on the second-floor balcony overlooking the Atlantic Ocean. 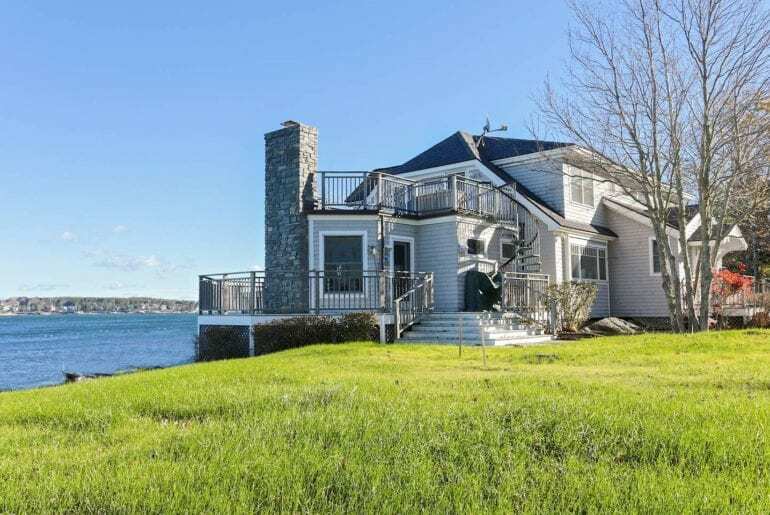 Just a few miles down the road, you’ll find Boothbay Harbor Country Club. Gorgeous vistas, challenging holes, and calming sea breeze surround the tranquil course. It is also home to two highly rated restaurants. You will be in awe of this 8 bedroom, 5 bathroom rental! 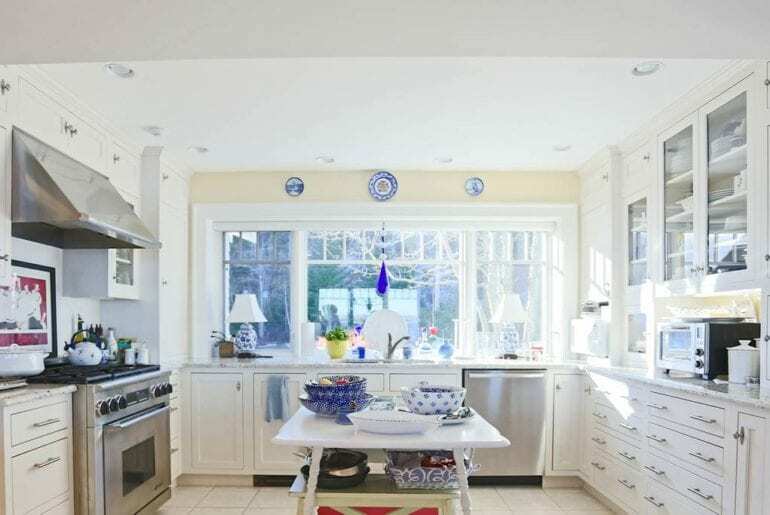 Walking into this home, you are surrounded by eclectic beach decor, a perfect blend of style and comfort. 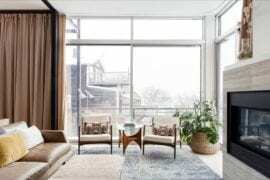 In the sitting room, natural light pours in through the large picture windows, giving it a welcoming feel. Continuing through the home, you make your way through a formal living room and a sleek, fully equipped kitchen and catering kitchen! 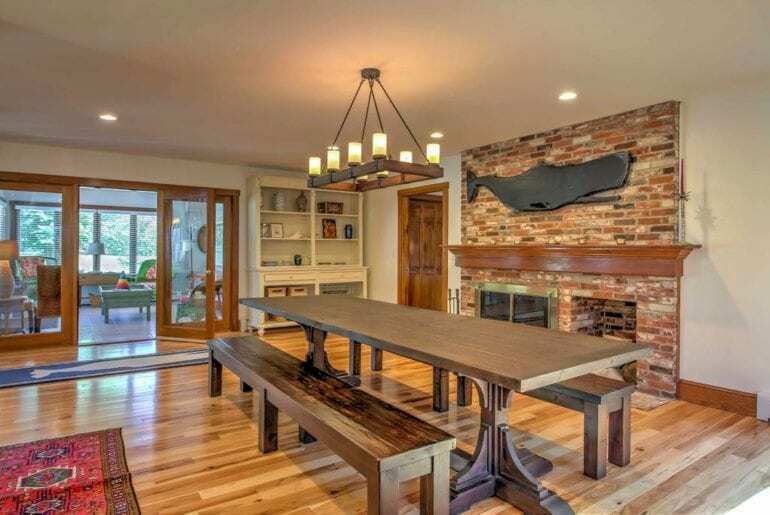 There is enough seating for 20 people to enjoy a home cooked meal by the warmth of the wood-burning stove. After fueling up, head to the nearby Webhannet Golf Club. Located riverside, this beautiful course offers both scenic and challenging fairways. Maintained at the highest level, beginners and seasoned players alike love this 18 hole course. Returning home for the evening, you can spend time in the game room! 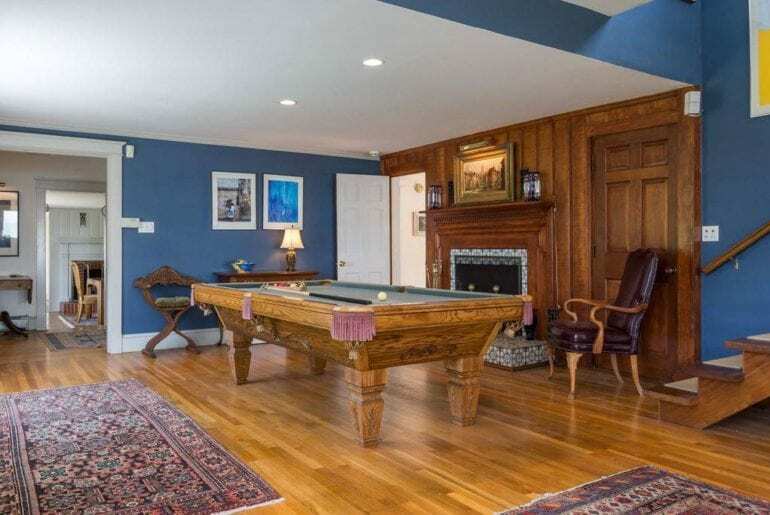 Complete with a pool table, television, and comfortable couches this is an ideal spot for billiards or card/board games. 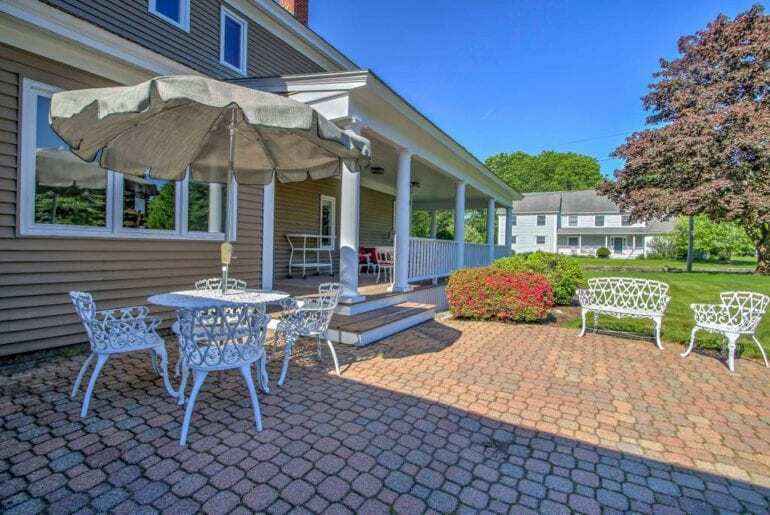 The wraparound porch is perfect for enjoying a cocktail surrounded by a coastal sea breeze. Walking into this home, it feels as though you are stepping into a storybook! 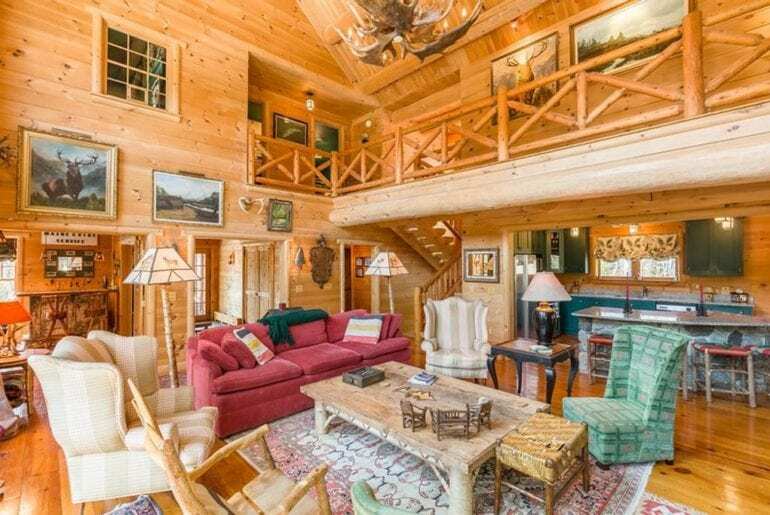 The rustic log cabin feel with the mountain-esq decor, and homey touches make this a wonderful home-away-from-home. You’ll have access to the entire home, except for the basement level. Giving you plenty of space for the whole family. The open floor plan creates a welcoming atmosphere, and there is cushy seating throughout the rental for unwinding and relaxation. Sugarloaf Golf Club, one of the top-ranked courses in the state, has lots of elevation change, great views, and uphill approaches to blind greens! Definitely one of the toughest courses you’ll play. 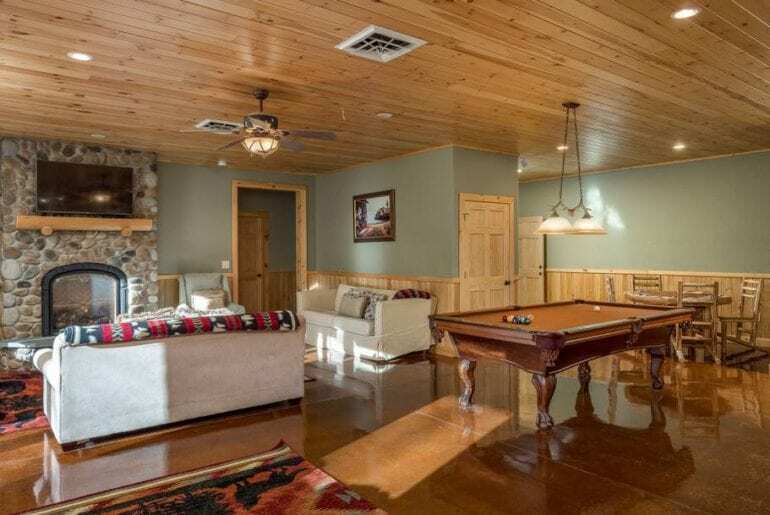 There is a game room, a bar, and a sauna – plenty to keep everyone busy! One of the bedrooms features a unique loft style bedroom that will be sure to have people calling dibs. 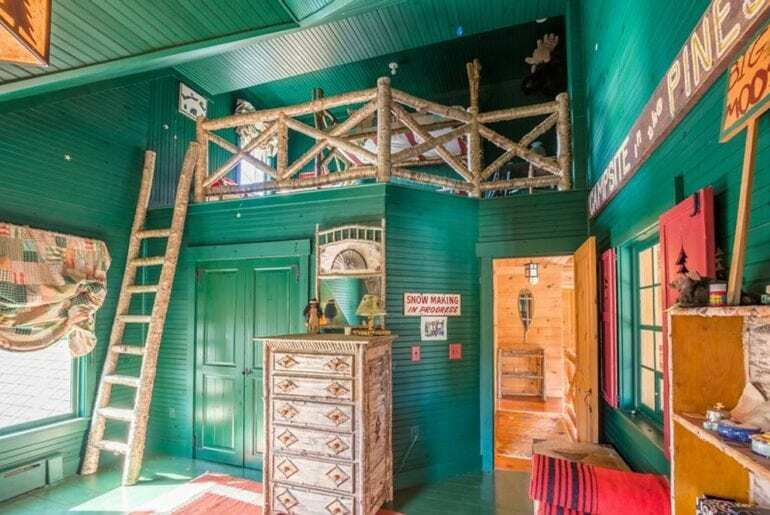 Unless of course, you’re lucky enough to score the master bedroom! 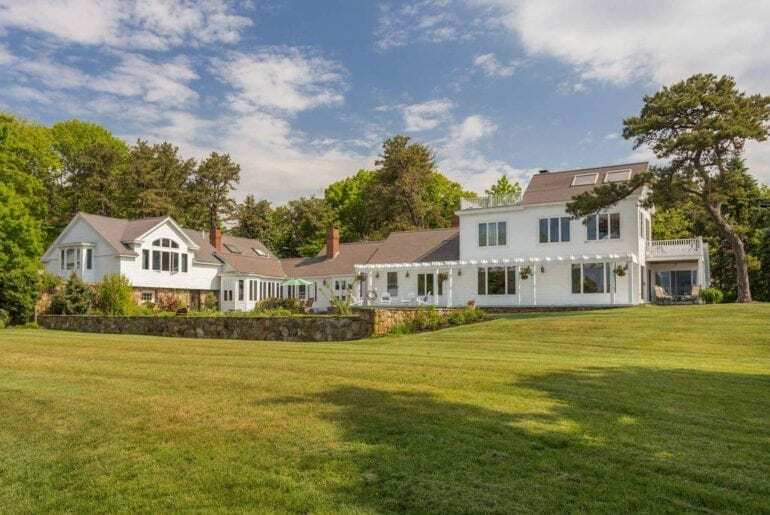 Situated between York and Ogunquit, this stunning estate boasts unbelievable views of the sparkling Atlantic Ocean. Also visible is Boon Island and Nubble Lighthouse. There are two water-facing porches that are perfect for enjoying breakfast before hitting the green. 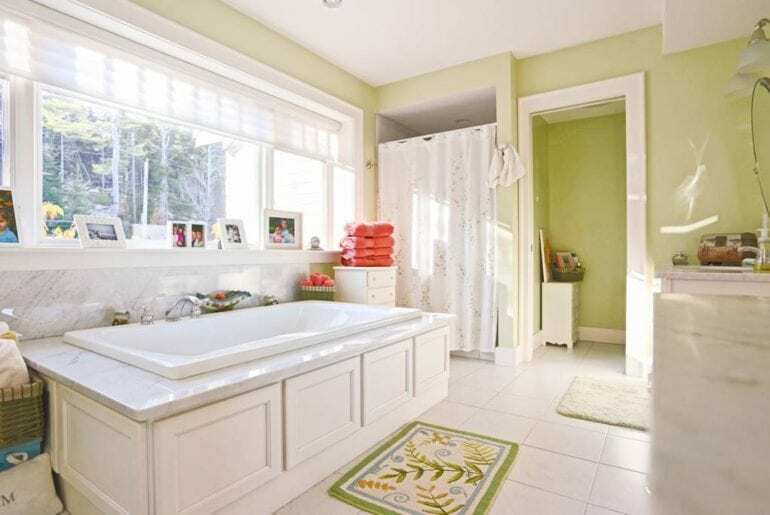 When you come home, bathe in the sunshine while swimming in the private pool or unwind in the hot tub. The beautifully manicured lawn will make it hard to resort indoors but if you do, curl up by one of the multiple fireplaces with your favorite book. For groups who may be visiting, there’s even a pool table to keep the competition going after the 18-holes! A semi-private golf course is just a few miles away, Cape Neddick Country Club. It’s a (not-so) hidden treasure in the golf world. Designed and famed by Donald Ross in 1919, this club has more than a hundred years of continual, top-service.